One day my Father in Law came to visit. I started making dessert and pulled out a 20 year old little hand mixer. KitchenAid Mixer for my birthday. 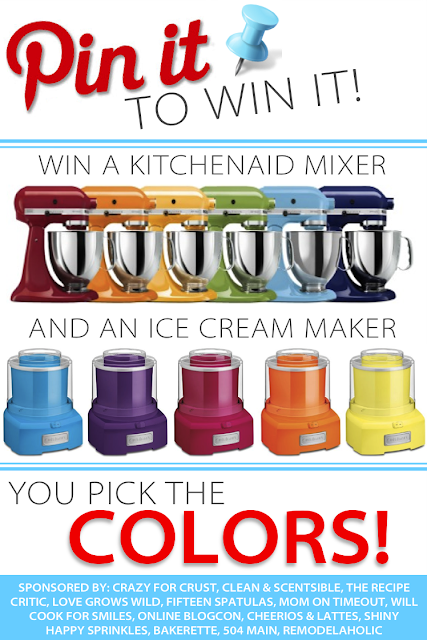 not only a KitchenAid Mixer...but an Ice Cream Maker too! Step 1: Pin the image above. Step 2: Follow all the bloggers listed below on Pinterest. Step 3: Enter using the Rafflecopter widget below. follow some awesome new blogs on Facebook! Tickled Pink x2: Welcome What Meegan Makes!